Personify recently had the honour of designing Malatesta Group’s inaugural website. The brief was simple: To showcase the company’s range of major projects for Public and Private Clients such as, City of Bunbury & City of Busselton, throughout the South West, whilst maintaining a corporate feel to demonstrate the longevity and position of the well-known business. 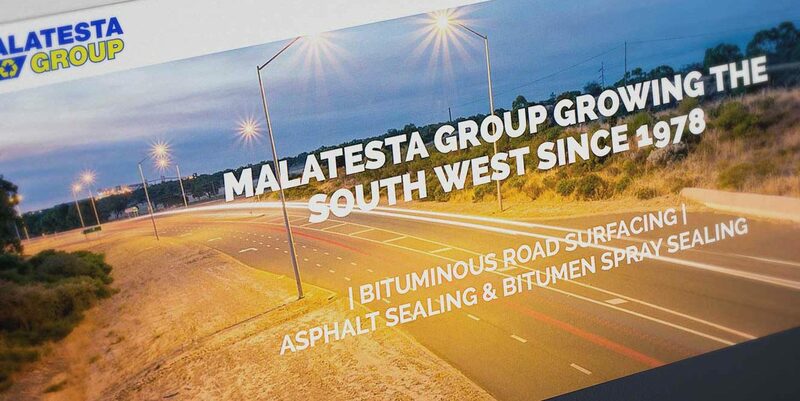 My goal was to highlight the history and importance that the Malatesta name and its connection with many of the landmark roads and highways that Malatesta has had a hand in constructing and maintaining throughout the South West region of Western Australia. 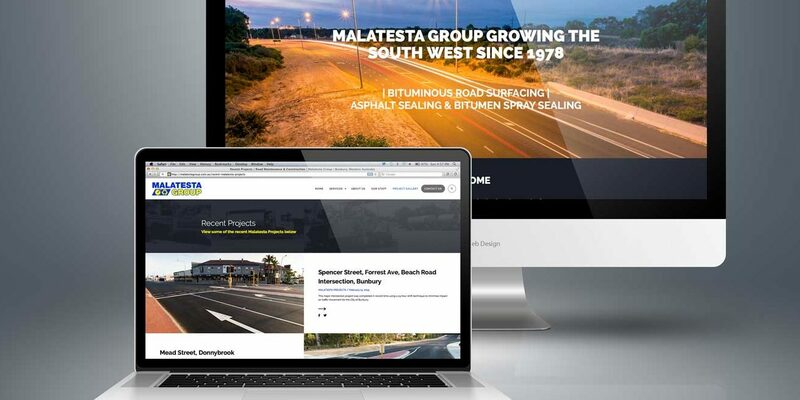 Our feedback from presenting the completed website to the Malatesta management was that it had surpassed expectations as well as delivery a concept that the Malatesta Group is proud to present to its long list of important clients. I am proud to have completed this site for Malatesta and look forward to working with the company into the future.